Made from special quality alloy steel material. • Hardness 60 ± 2 Rc. • Special sizes Are avalible as per Requirment. • Used for supporting the job. • Made from good quality alloy steel material. • Safe & reliable adjustment of height. • Can be used with different pads. • Hardend and precision ground. • Multiple Parallel vise for small parts grinding, milling & on VMC M/C. • Made from high quality alloy steel. • Used for holding flat squared & round jobs. • Accuracy for Flatness, Squareness & parallelism within 0.012mm. • "V" on moveable jaw facilitates end face grinding. • Job is clamped only by resting between fixed & moveable jaw and operating On-Off switch. • ON-OFF facility by allen key. • Used for holding the jobs, spark erosion operation, right angle grinding & Light machining. • Accuracy for Flatness & Parallelism 0.010 mm / 200 L, squareness 0.012 mm. • Jaw pressure on work piece is forward & downward for repeatable positioning & maximum holding power. • All sides can be used as reference. • Hardness - 60 ± 2 Rc & Tempered. • “V” on moveable jaw for better gripping of round jobs. We also manufacture Stainless steel Vice. • Parallelism 0.007 mm / 100 mm, squareness 0.015 mm. EDM and wire - cutting machine. • Used for Precision measurement, setting of angles, Right angle grinding & light machining. • Angular accuracy within ± 5 seconds. • Useful for holding purpose on wire cut machine. • Suitable for mounting on machine belt. • Suitable for round job. • Hardness 55 ± 3 Rc. • Used for Precision measurement, setting of angles. utilizing slip gauge & light machining. 0.010mm upto 200L & 0.015mm upto 450L. • Angle can be set within ±5 seconds. • Centre Distance between rollers is within 0.005mm. • Hardness - 58 ± 2 Rc & Tempered. • M6 & M8 tapped holes for job clamping. 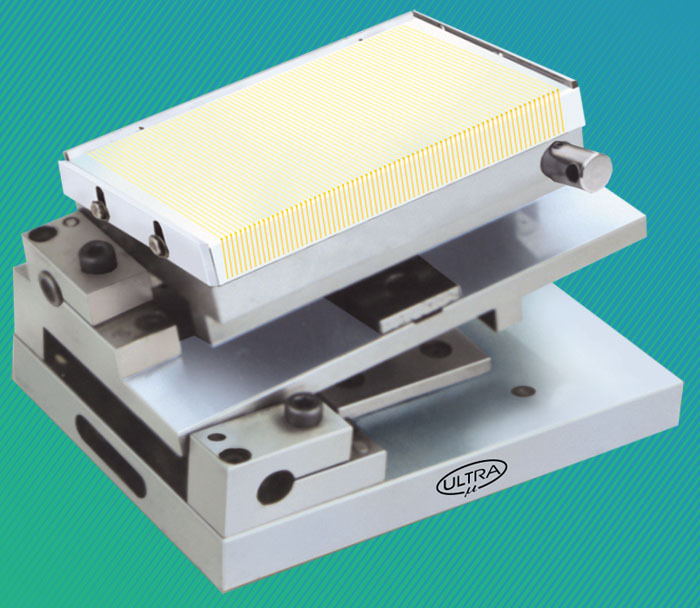 • Used for Precision measurement, setting of angles & Light machining. • Accuracy for Square ness, Flatness & Parallelism within 0.010mm upto 200L & 0.015mm upto 450L. • Firm hinged clamp to reduce possibility of distortion. • Centre Distance between roller is within 0.005mm. 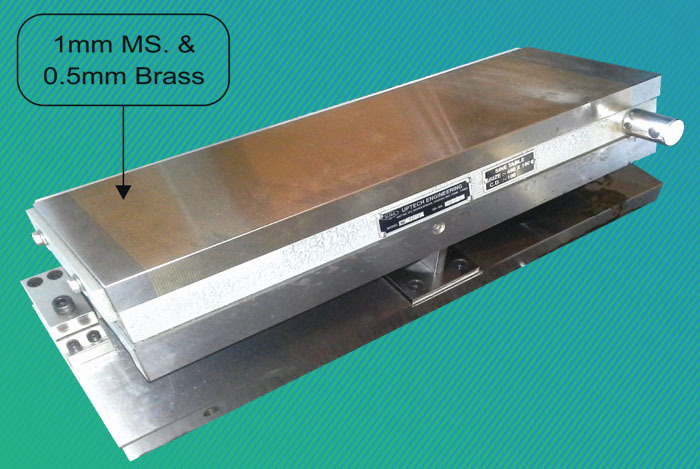 • Magnetic Table for job holding. within 0.010mm upto 200L & 0.015mm upto 450L.